8 best Windows Phones - which should you buy? When Windows Phone 8 launched in 2012 it was looking to shake up the mobile market and differentiate itself from the dominant Android and iOS. 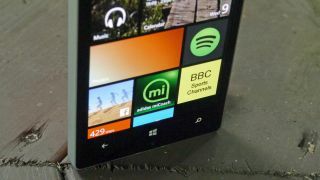 But while it succeeded in increasing Microsoft's presence in the smartphone world it's struggled to truly compete. There's still hope yet though. The newer Windows Phone 8.1 replicates the popular features of Android and iOS whilst combining the comfort of home computing with the convenience of mobile and now there's Windows 10 Mobile on the horizon. We've looked at the Windows Phone devices on offer and picked out the best ones around to guarantee you get the best bang for your buck. Lumia still dominates the list, but as a Microsoft entity that's no surprise. Bigger isn't always better, as the Lumia 640 XL's larger screen isn't as sharp as the smaller Lumia 640's and on top of that it's a little more expensive, but in most other ways it's every bit as good and its 13MP camera is even better. The larger screen size makes it great for media and the battery will last you a day even if you fancy using it for a movie marathon. It feels solidly built too and while the Microsoft Lumia 640 XL looks a little cheap it punches well above its weight. You might struggle to tell the Nokia Lumia 635 and the Nokia Lumia 630 apart, as other than a glossy finish on the 635 it looks pretty much identical. Even looking at the specs doesn't reveal much in the way of differences as it has the same 4.5-inch 480 x 854 display, the same 5MP camera and the same quad-core 1.2GHz processor and 512MB of RAM. So why does it exist? 4G. The Lumia 635 has it and the Lumia 630 doesn't, so with this phone you can enjoy high speed mobile browsing even when there's no Wi-Fi and it's one of the cheapest 4G handsets available. It's around £25 more than the Lumia 630 but its 4G speeds justify the increase. The Nokia Lumia 530 is a brilliant choice for anyone on a serious budget and its 4.0-inch screen makes it a great option if you want something compact and easy to use one-handed. Despite its low price though it has surprisingly snappy performance and while there's just 4GB of built in storage it also has a microSD card slot, which is absent on some higher end Windows Phone handsets. Smartphone-snappers should be aware that there's no flash and no front-facing camera, but for anyone who doesn't feel compelled to take pictures of their own face the Lumia 530 is a strong handset. The Lumia 530 might be hopeless for selfie fans, but the Lumia 735 is made for them with its 5MP front-facing camera, and the rear camera isn't bad either. Its sizeable battery will keep you snapping all day and while there's no metal here the Lumia 735 has an attractive minimalist design and is comfortable in the hand. If you don't care about selfies or video calls there are arguably better Windows Phone options, but with a fairly large 720p screen the Lumia 735 is still a good mid-ranger. If you're buying the Nokia Lumia 1020 you're buying it for the camera, it's as simple as that. Not that there isn't a solid phone here, but its remarkable 41MP snapper is far and away its stand out feature. Not only can it take incredibly detailed photos but all those extra megapixels allow for lossless zoom, which is a rarity on phones. With good battery life too you can be out snapping all day and its bright yet compact screen is a joy to use, whether viewing your photos or playing with apps. There are loads of good budget Windows Phone handsets but the Microsoft Lumia 640 is perhaps the best, thanks in large part to a long-lasting battery, which can see you through even the most demanding of days. But a juiced up juice pack means nothing if the phone it's powering is underwhelming, which thankfully isn't the case here. From its impressive 720p display to its decent 8MP camera the Lumia 640 excels for the price. With solid performance, 4G support and a low price this, for the time being, is the budget Windows Phone handset to beat. If you want a Windows Phone phablet your options are limited, but there are none better than the Nokia Lumia 1520. An enormous 6.0-inch 1080p screen makes it one of the most spacious smartphone canvases around, yet it still manages to have a slim build. The screen might be the star but it also has an impressive 20MP camera and slick performance. It's getting on a bit but it's still Windows Phone's phablet flagship. The Nokia Lumia 930 is starting to feel a bit dated, but it's still a top flight Windows Phone flagship and judged purely on specs it comfortably sits above most other phones running the operating system. Its metal frame ensures it looks good, while a 2.2GHz quad-core Snapdragon 800 processor and 2GB of RAM provide it with a considerable amount of power. And we haven't even touched on the impressive 5.0-inch 1080p display and 20MP camera. It is, in other words, the complete package. Stylish, powerful and packed with everything you'd expect from a flagship smartphone.